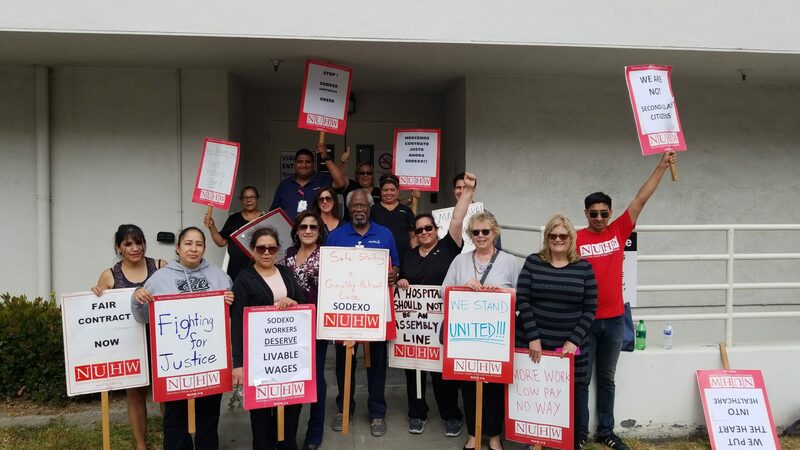 Nearly 50 housekeepers at Los Alamitos Medical Center staged a one-day picket demanding that their employer Sodexo, an international subcontracting firm, dramatically increase wages, improve benefits and put an end to short staffing. 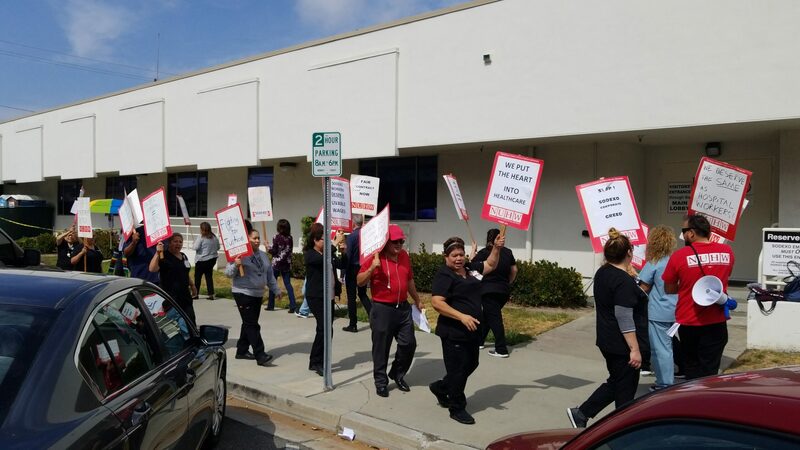 The May 29 picket came just weeks after NUHW-represented Sodexo workers at nearby Fountain Valley Regional Hospital won a contract that provided up to 42 percent raises over the next 18 months. 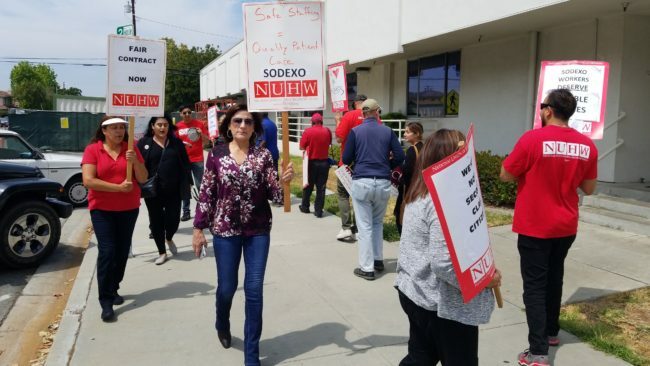 Sodexo workers at Los Alamitos, several of whom make as little as $11 per hour, are seeking minimum hourly wages of just under $15 as well as free health insurance. 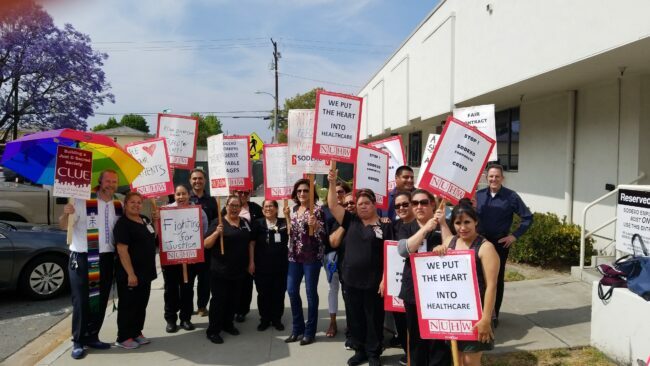 They were joined on the picket line by representatives of Assemblywoman Sharon Quirk-Silva and members of Clergy and Laity United for Economic Justice.